The Women in Engineering Program provides many opportunities for women students to gain engineering experience and network with engineers and recruiters in industry, in addition to preparing students for applying, interviewing and accepting job offers, using the training gained through WEP to make informed career decisions and develop networks needed to achieve career goals. Women Changing the World is an annual event designed to engage and inspire current engineering students by featuring prominent women graduates of the Cockrell School of Engineering. Consider Every Option is an event open to all engineering students who want to explore nontraditional career paths. The EXPO 101 Workshop is hosted jointly by the Equal Opportunity in Engineering Program and the Women in Engineering Program to prepare students for the Cockrell School's first career fair of the year. 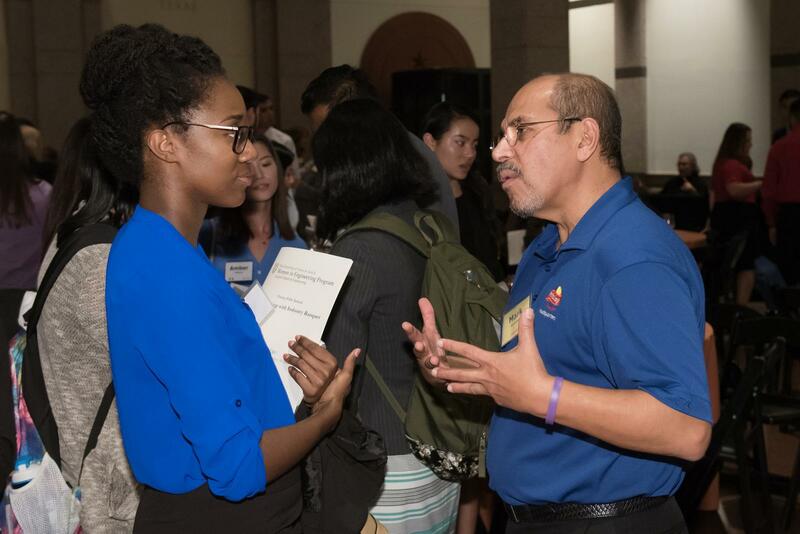 Each semester, WEP hosts networking events for students to informally meet engineers and company recruiters.